At the moment, we are assisting a client in relation to the sale of shares in their trading company. Last week, we received suggested changes to the share sale agreement for the lawyers acting for the purchaser. As is usual commercial practice, this top tier law firm provided the document to us confirming that all of their suggested changes were made in 'redline'. While we had no particular reason to doubt that all changes would have been shown in mark-up, we used the 'DeltaView' (i.e. document comparison) function in Word to be certain of this before commencing our review. 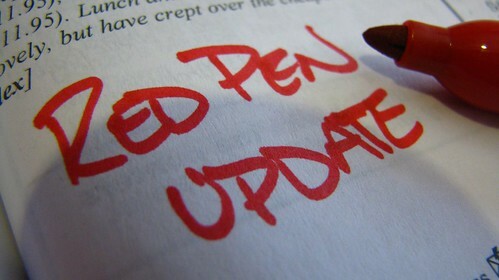 The DeltaView confirmed that while almost all changes were shown in redline, there were a handful of words changed to one particular clause in the warranties that had not been marked up. These words (if gone undetected) would have potentially left our client in an unnecessarily weak position following settlement. As we understand it, the oversight of not marking up these changes was a simple mistake, however it highlights the importance of always using the DeltaView function (or another document comparison program) regardless of whether the amendments are otherwise promised to have been marked up.